To meet on the green shore a youth whom she loved. 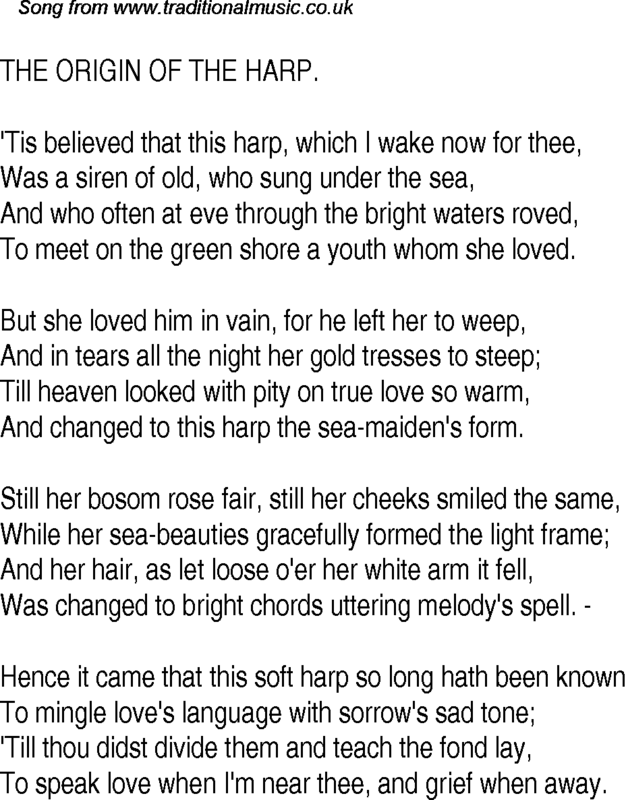 And changed to this harp the sea-maiden's form. To speak love when I'm near thee, and grief when away.